NRL CEO Todd Greenberg has personally reached out to Greg Inglis after he was the subject of alleged racial abuse and vowed to "throw the book" at the crowd member responsible. The NRL and Penrith Panthers are confident of identifying the culprit from CCTV footage as he was seated in a prominent position near the Panthers Stadium tunnel, with Inglis allegedly abused as he came from the field after full-time on Saturday night. Greenberg commended the Panthers, who have made an unreserved apology, for "working around the clock" to identify the crowd member. Australian coach Mal Meninga called for the culprit to be banned for life but it is believed he faces an indefinite suspension and would need to apply to be allowed to attend an NRL match at some stage in the future. The NRL chief stressed a decision would not be made until he was presented with all the facts around the incident, but declared the fan "would not be welcome back in the game" if the claims were proven. NRL officials were hopeful on Monday that a breakthrough was close in Penrith’s exhaustive search for the alleged abuser, while Greenberg revealed he had made a point of calling Inglis to apologise on behalf of the game. "I know Greg personally, I've developed a relationship with him," Greenberg told reporters at the launch of the NRL Hall of Fame and re-vamped Immortals selection procedure. "When I heard what had been said, I wanted to make sure he realised that what had been said … that's not the game. "That's not what rugby league stands for and he knows that. But I wanted to make sure he heard that from me directly." Greenberg said Inglis remains in good spirits despite the incident, and had not requested a specific punishment be handed down by the game's governing body. "He was good, obviously disappointed," Greenberg said. "But Greg's been around a long time and he knows the work that he’s done personally that's helped parts of this game. "He'll be stung by it and he'll be hurt by it as you would expect. But he'll keep turning up and that's the mark of the man. He's got faith in us to do what's right and we'll do that if we can find that person." Meninga, who has had a long relationship with Inglis in his roles as Queensland and Australia coach, said the racial abuse would have been particularly upsetting for him given how much work he does in the indigenous community. "I sympathise with him, obviously. I know how passionate he is about his aboriginality. 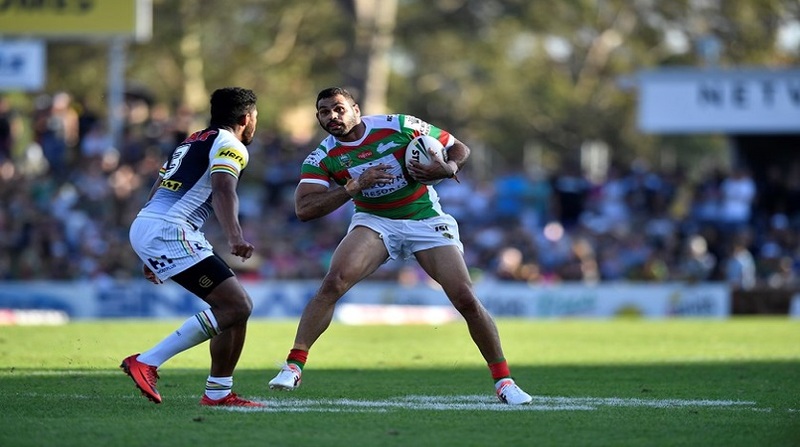 He puts a lot of time and effort into that area, and it would of hurt him emotionally," Meninga told NRL.com. "He has done some really positive and great things for his people. Something like that is not warranted so hopefully, they find the person who made the comment and ban him for life." Former Australian and Queensland captain Darren Lockyer said rugby league had played an influential role in discouraging racism and needed to maintain a strong stance against the person who abused Inglis. "I think the game has put its hand up for a while now saying it is just not acceptable and it is not just our game, it's all sport," Lockyer said. "Sport can help lead the way in educating people around the country so this is an opportunity for the game to again remind everyone how serious we take racism and what needs to be done. "In general, as a population, I think we are improving all the time but there is obviously an element out there and it is about nipping it in the bud so our younger kids understand it is not the right thing to do."